Cats are amazing, interesting creatures. They need to be pampered in a calm, stress free environment. We strongly believe that the most important thing to consider when grooming a cat is their environment. Much thought goes into the manner in which our cat guests are handled, bathed and dried. A bath for a cat? Shedding? Interested in doing away with unwanted hair? As we all know, cats like to hide under our beds, sofa, and closets. They also enjoy roaming outside and, unfortunately, they expose themselves to bacteria. 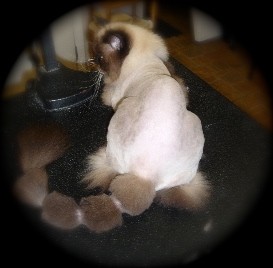 Even with self grooming cats are still susceptible to dirt, fungus, grease and more! Then we need to consider their shedding. At Paw-radise, we make sure your cat receives all treatment needed to ensure their fur is in its healthiest condition. This includes getting rid of any fleas, ticks and/or dandruff. Dandruff is caused by the excessive shedding of dead skin cells from the scalp. It can also be caused by frequent exposure to extreme heat and cold. A small amount of flaking is, in fact, normal and common. With good nutrition and regular grooming excessive dandruff is avoidable. 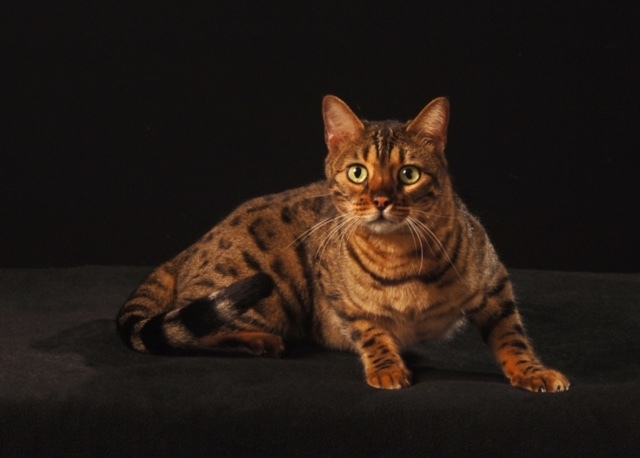 Our Certified Feline Master Groomer and team uses the most updated tools to groom without using any sedative drugs. With the correct tools, training and patience, Paw-radise is your cat's life saver!!! Our devotion to bringing your cat into a calm mental state will result in them actually enjoying being groomed and pampered. Of course, this can only be achieved through regular grooming. Regular grooming is highly recommended in order to keep your cat healthy, stylist and to maintain less shedding. We recommend cats be bathed every 4-6 weeks. Show quality bath or **fleas bath, nail trim & ear cleaning. Sanitary clip, belly shave, , show or **fleas bath, nail trim, ear cleaning , face trim and brush out. -Pompom Tail? 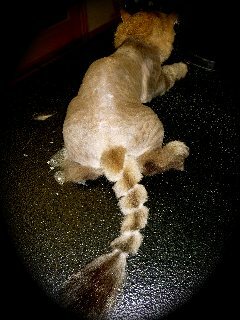 Are you tired to have the lion tail, try the pom pom tail. 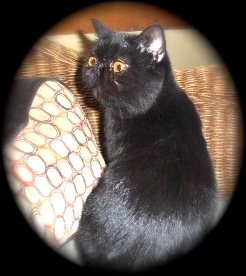 ***Fleas; extra surcharge of $20.00 will be added to your service cost. No Exception!!! We suggest to give a flea pill prior to appointment to avoid surcharge. Our flea bath will only kill the fleas, eggs must be kill with a prescription from your vet. For the health of all our guests and myself, an up to date proof of rabies is required in order to receive full grooming service. In consideration of safety we request that you bring your friend in a pet carrier. Include;Show Bath using Les pooches degreaser and hypoallergenic shampoo, fluff drying, sanitary trim & nails. Bath using Les pooches degreaser and hypoallergenic shampoo. Goodbye dandruff! 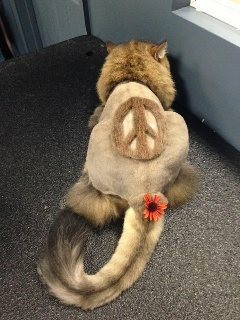 Are you tired off all this hair but don't want your cat to be "naked"? Professionally shave using a short blade leaving a lion main and 4 boots. 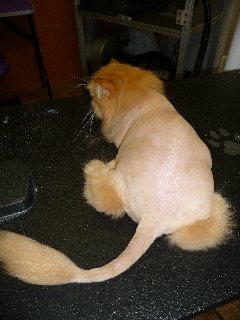 Many people see creativity groomed cat and or dog and feel sorry for them. For some reason they think they are simply objects who are not love......nothing could be farther than the truth. In order to be creatively groomed, they must have skin and coat that are healthy and well maintained. Between their grooming session, they are well loved, well fed, clean and mat free. So save your sympathy, these dog and or cat do not need it. Instead, focus that sympathy for shelters and rescues that do not have the luxuries of a creative cat/ dog with a great family. 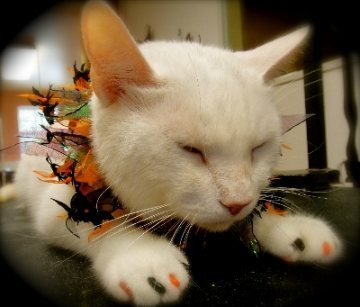 Declawing Alternative Option; Soft Paws Nail Cap. It is not so much the actual bath that most cats dislike; it's the fact that they have to spend a good part of the day putting their hair back in place.